Ladies, I was invited to go and check out the shop that brought Orofluido hair oil into my life! 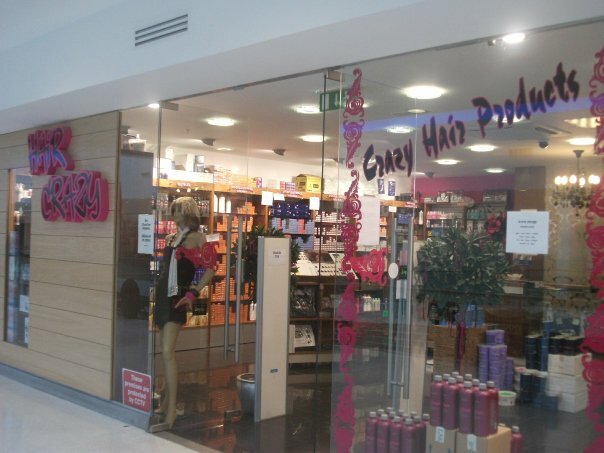 I'm talking about Hair Crazy in the Omni Centre in Santry, Dublin. When I went in search of the Orofluido after Christmas in the Omni Centre, I walked up and down the shopping centre looking for the shop before actually looking at the centre map and seeing it was on the second floor, so I'm saving ye time by telling you that now! ﻿ Adele kindly offered to show me around and was extremely generous and gave me some products to try, so I can't wait to try them out and let you know how I get on :) Some of the products they stock include the Lakme range of hair products, which I'd never heard of myself, but I'm sure there are some of you out there that have! I do most of my shopping in Boots/Superdrug so it was great for me to to see some new products. They stock straighteners, brushes, bun rolls, curling tongs and all the supplies you'd need if you were doing your own hair. They have gorgeous hair extensions that I vow to try some day! The hair used in the extensions is 100% human hair, which is great because you can curl/straighten and style it as if it was your own and it's certified by Intertek. One of the products that I'm most excited about is the colouring conditioners or colour bombs. I'd never heard of such a thing and can't wait to try mine out. Adele was telling me that they have a vibrant red that gives the colour of Rhianna's hair and if only I was 10 years younger, I'd absolutely try it out! It's a bestseller right now :) But since I am a weeny bit older, I'll be trying the shade Cappuccino. For those that want to try the Orofluido, it's €20 for the bottle I bought earlier in the year. 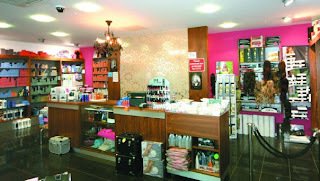 They also have a bottle that comes with a spray top, to make it easier to dispense the oil evenly throughout the hair. I hadn't heard of the colour bombs before so thanks for that, must check them out. Love the blog btw.